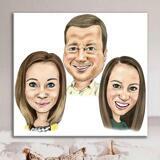 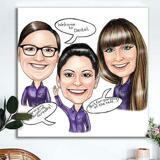 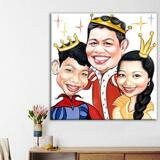 Get a personalized group caricature, which will be designed from photo in colored pencils style by Photolamus artist. 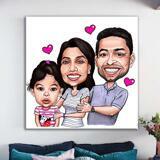 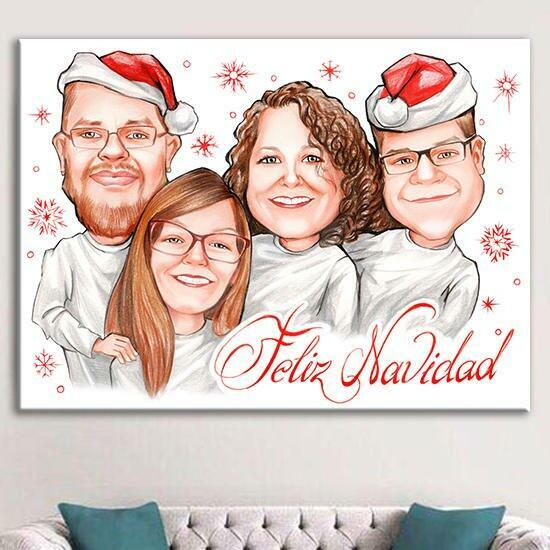 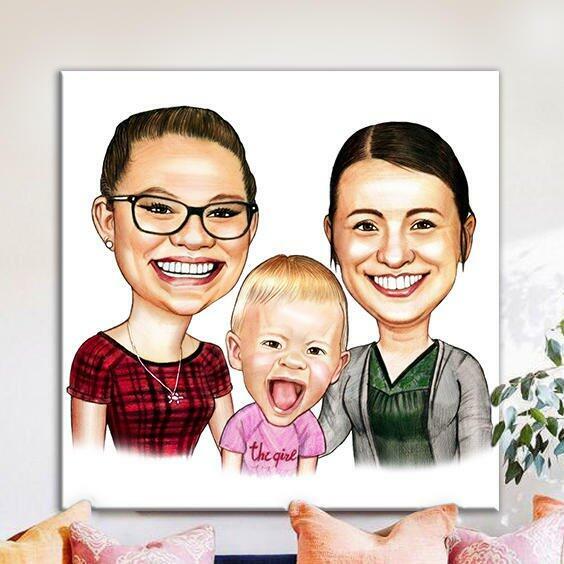 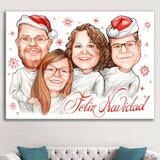 Group caricature is a great ability to congratulate you friends, family or business colleagues with any special occasion and make them a memorable gift like wall canvas with imprinted group drawing. 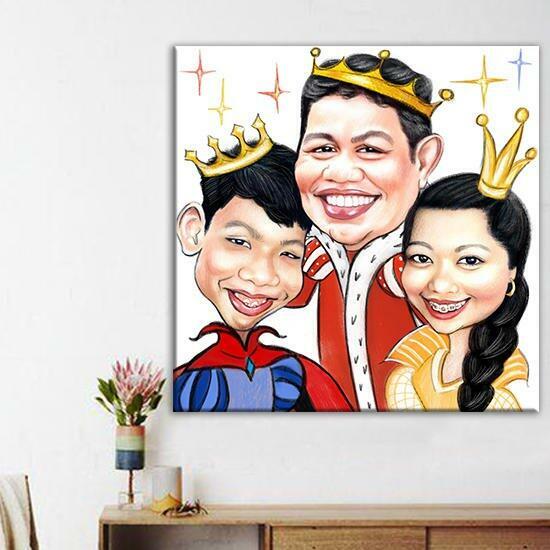 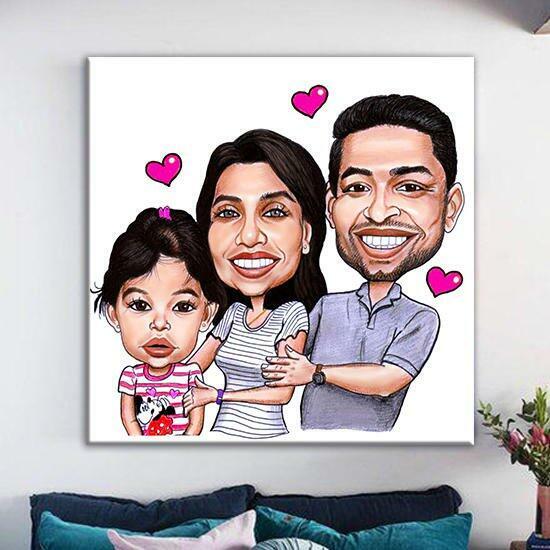 Ready-made caricature drawings will be printed on stretched canvases, which are further mounted onto a wooden frame of the selected size for shipping. 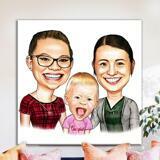 Your caricature drawing will be delivered on Email for approval, and then shipped to your home via DHL shipping company.